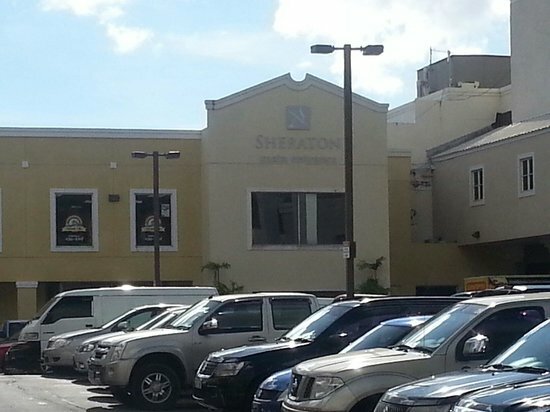 Some of the businesses in the food court at Sheraton Mall at Christ Church report up to a forty percent fall off in business since a man was shot dead in front of stunned customers in the food court there more than a week ago, though others and mall management say business has recovered after a severe slump in the traffic immediately after the shooting. Over the week weekend the alleged shooter 21 year old Hakeem Stuart and his alleged get-away driver, 23 year old Aziza Clarke, a former Pic-O-De-Crop Calypso monarch, were remanded to Dodds Prison. Ironically, the alleged get-away car is the vehicle Aziza won in the Crop Over competition. But General Manager of the Mall Kelly Stoute tells Starcom Network News from what she has seen traffic has fully recovered. On top of that several additional measures are being put in place.